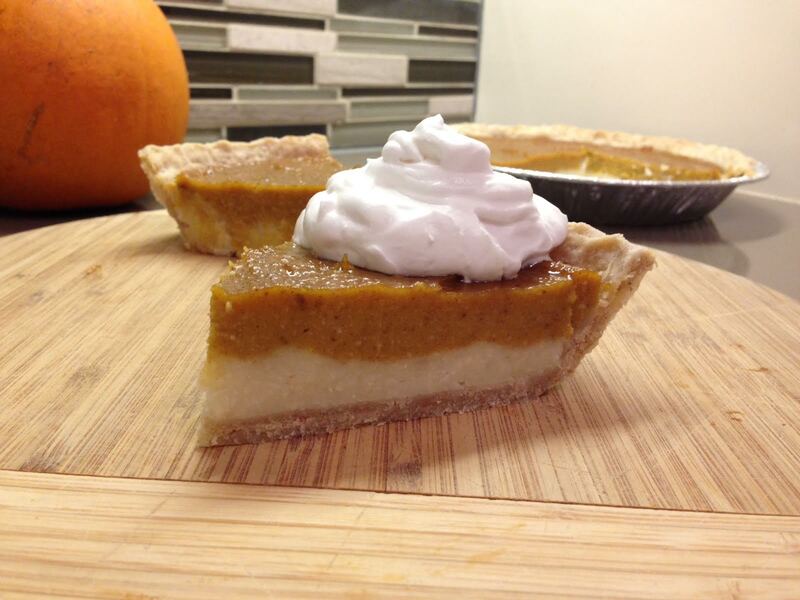 Topped with coconut whipped cream! 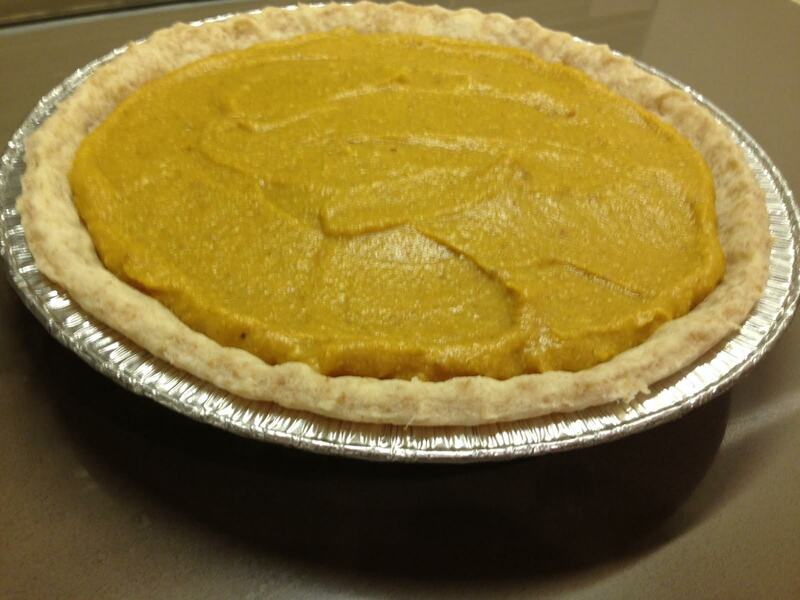 This past Friday we had a company potluck and one of my coworkers brought in a homemade roasted pumpkin pie. It was gorgeous. The color was bright orange, and the flavor was deep and delicious. 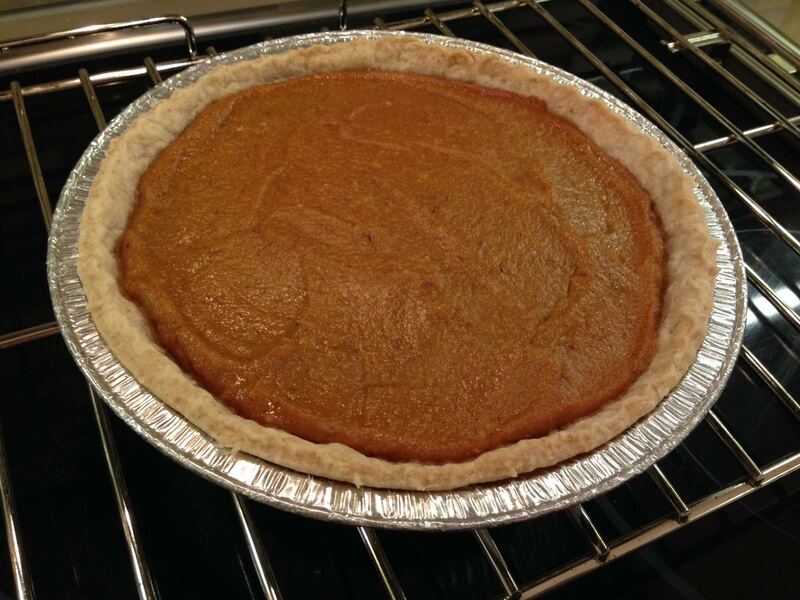 When I asked her about the pie, she explained to me how easy it was to bake. 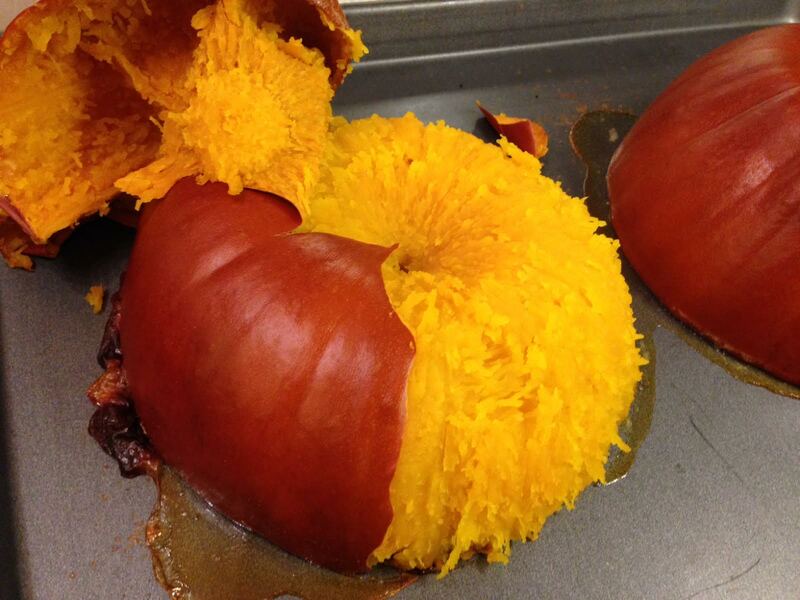 Literally all you have to do is cut the pumpkin in half, scoop out the seeds, and roast it. Then the meat just falls away from the skin. 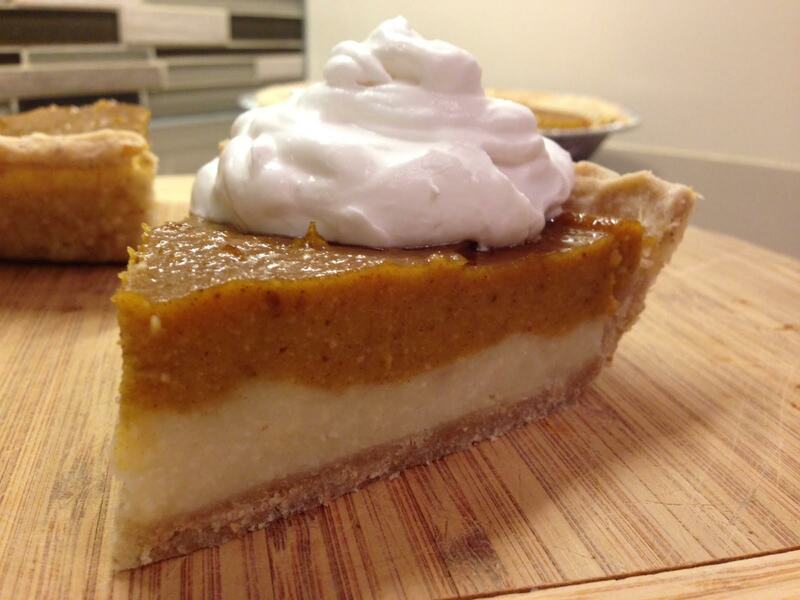 I wanted to do a vegan pumpkin pie, and obviously decided to avoid using any processed, canned milk products. 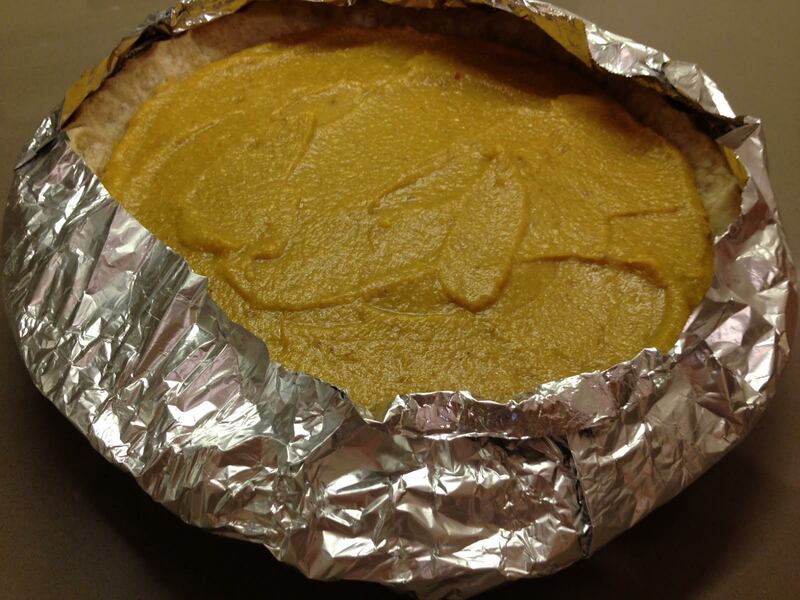 In my online research, I came across a blog that used cashews to help thicken the filling, and it inspired me. But to make mine a little more pudding like, I soaked the cashews in coconut milk for half an hour before using them. I was in a bit of a parsnip mood a few weeks ago, and loved the taste it gave baked dishes like these scones. 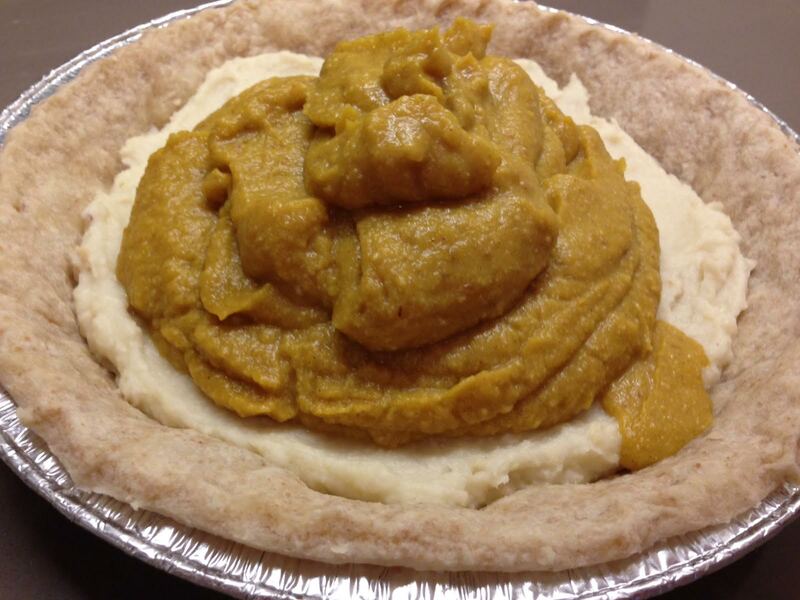 So to make my pie a little more interesting I did a layer of a parsnip and ginger pudding, then topped it with a roasted pumpkin filling. 1. 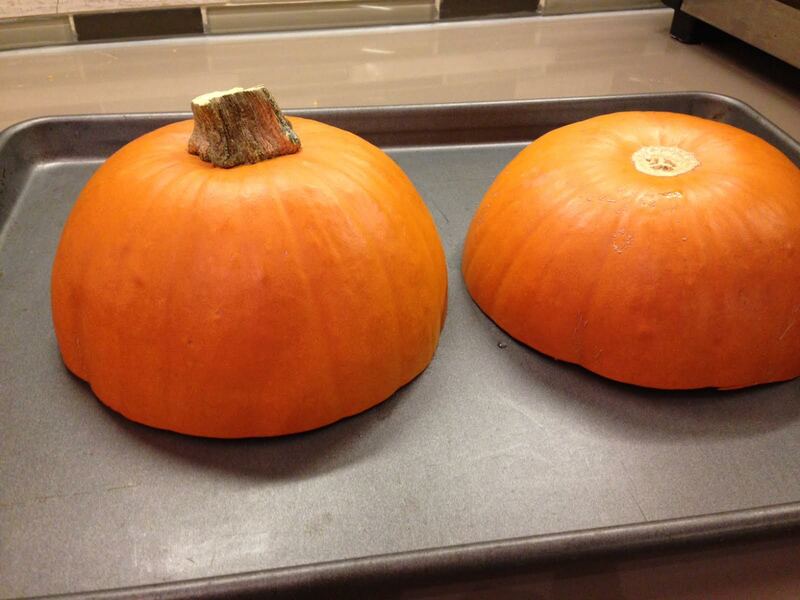 Start by roasting your pumpkin. 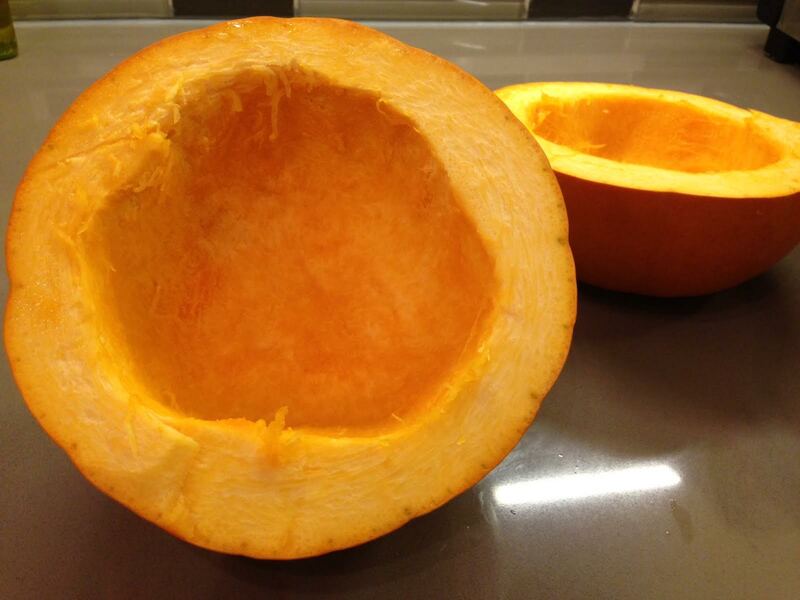 Cut it in half, then remove the seeds. Place cut side down on a cookie sheet, and roast in a 350 degree, preheated oven for 70 to 80 minutes or until the skin has gone dark orange. 2. 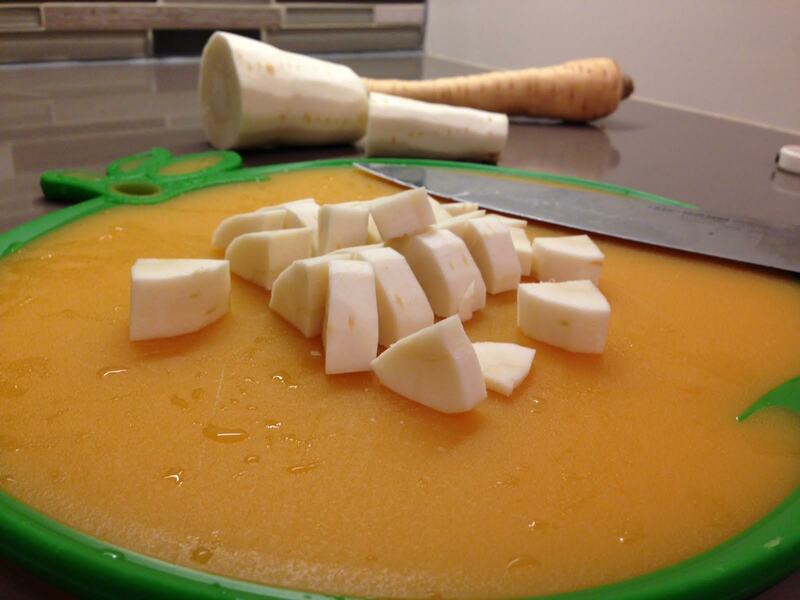 While pumpkin is roasting, peel and dice a parsnip. Boil in unsalted water until fork tender. Then strain and set aside. 3. 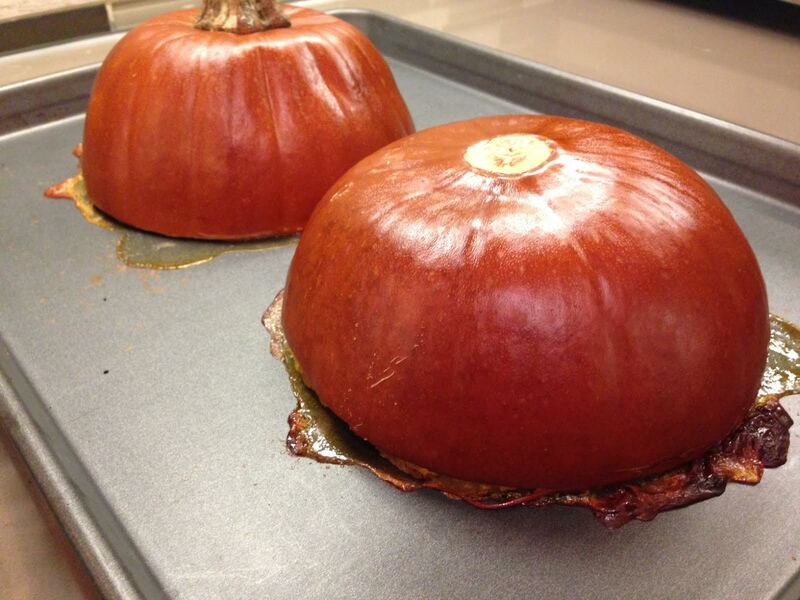 After removing pumpkins from the oven, let them cool for about 20 minutes. 4. 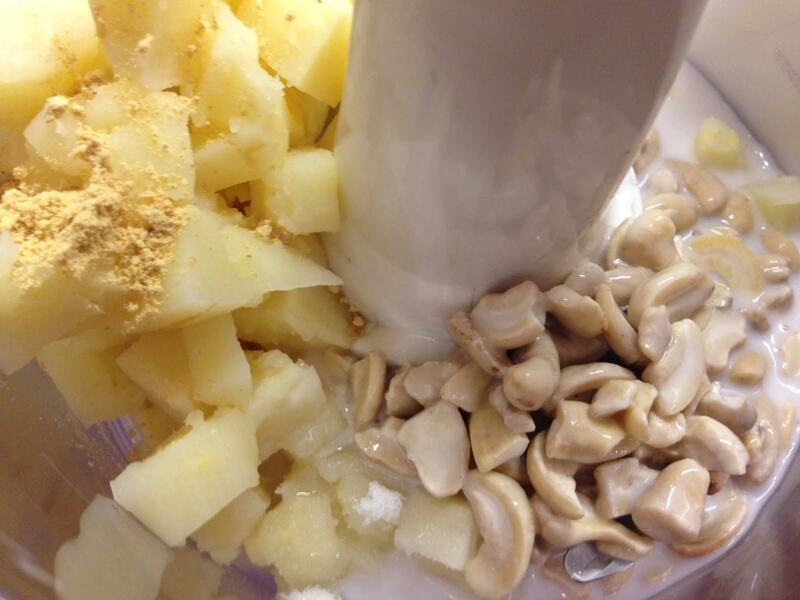 In two separate bowls or mugs, combine 1/4 cups of cashews with 1/4 cups of coconut milk. These soaked cashews will make the pudding base for your pie fillings. 5. 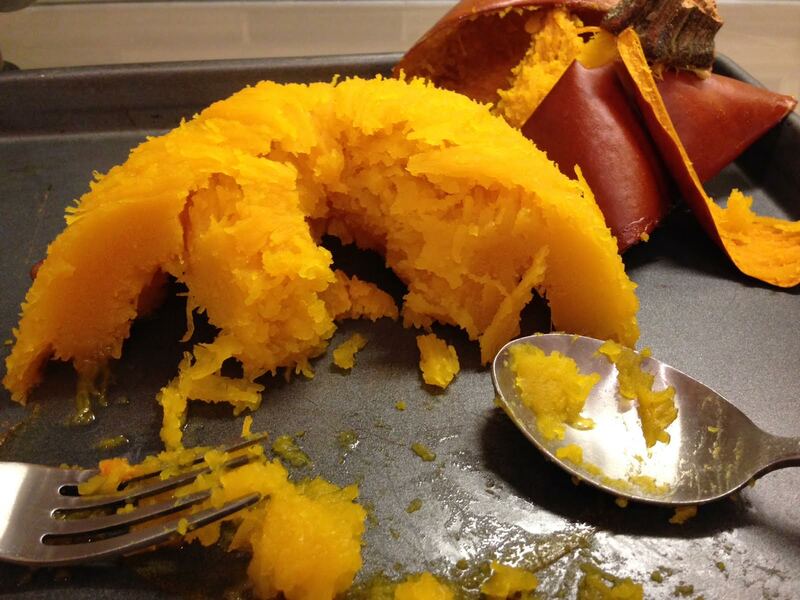 Once cooled, the pumpkin skins should pull away from the flesh. 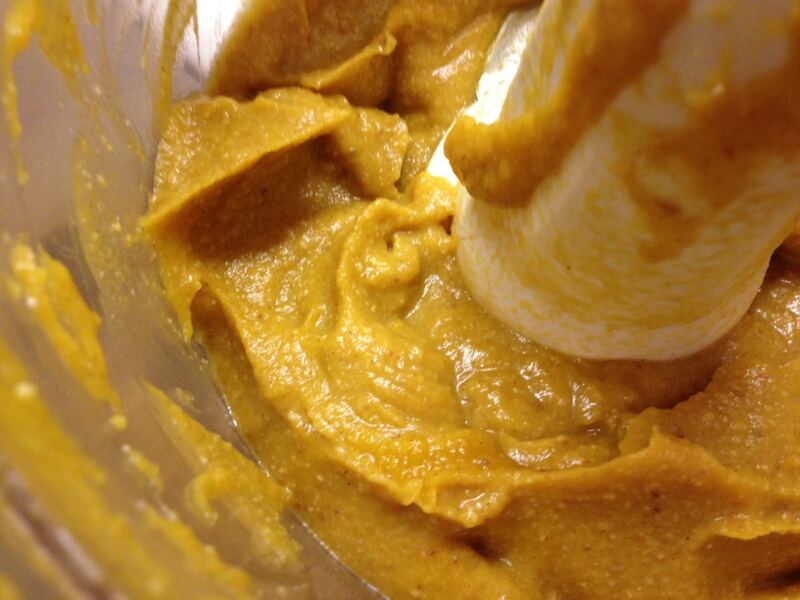 Then, you can scoop the meat of the pumpkin right off the cookie sheet, and transfer it to a food processor. 7. 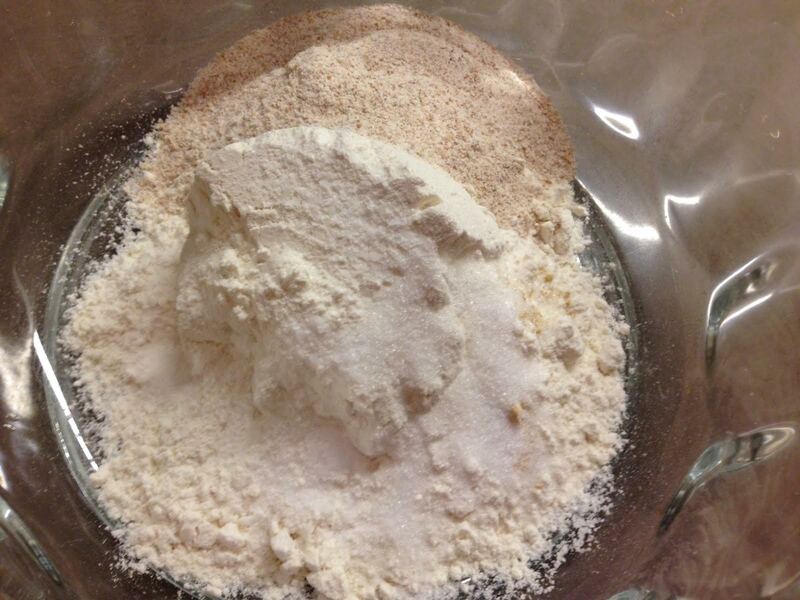 In a new bowl, combine the dry ingredients for your pie crust. 8. Cut in shortening until you have pea sized pieces. Place in the freezer uncovered for 10 minutes. 9. Add water 1 tablespoon at a time while mixing. 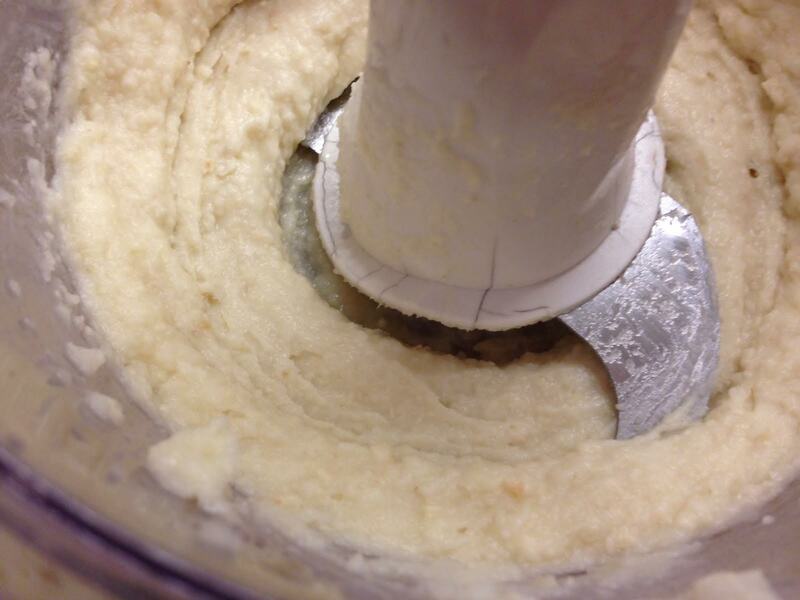 When dough starts to clump, use your hands to finish mixing. 10. Roll dough out on a floured surface. 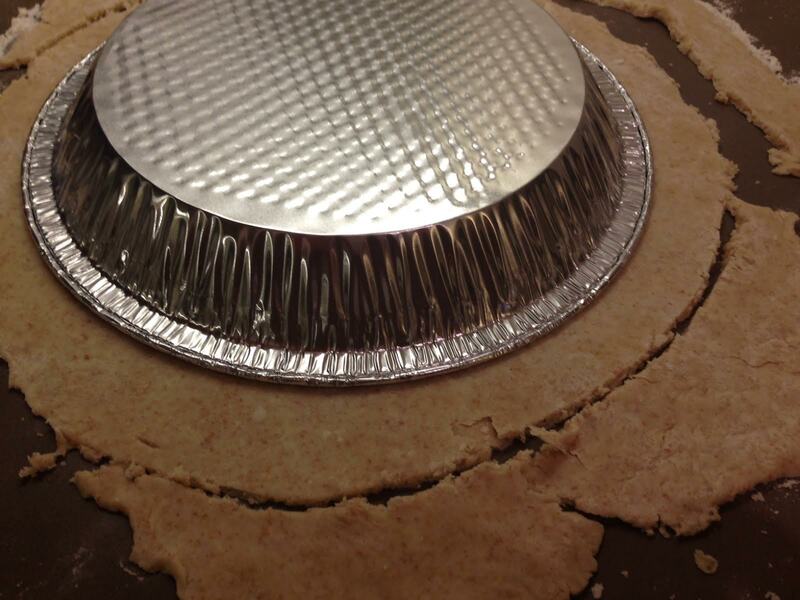 Place pie tin upside down on top of dough, cut a circle about 1 inch larger than the pie tin. 11. 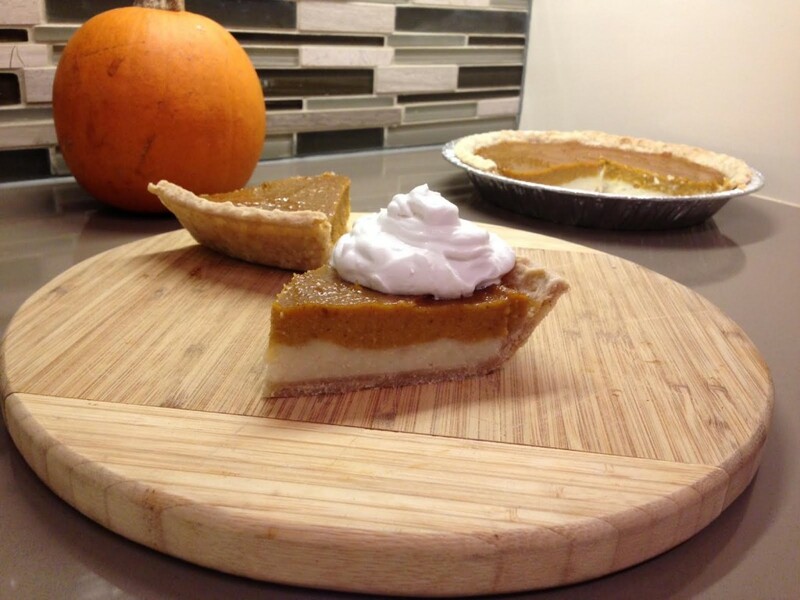 Transfer cut dough to pie tin, cut off excess dough from the edges and flute. 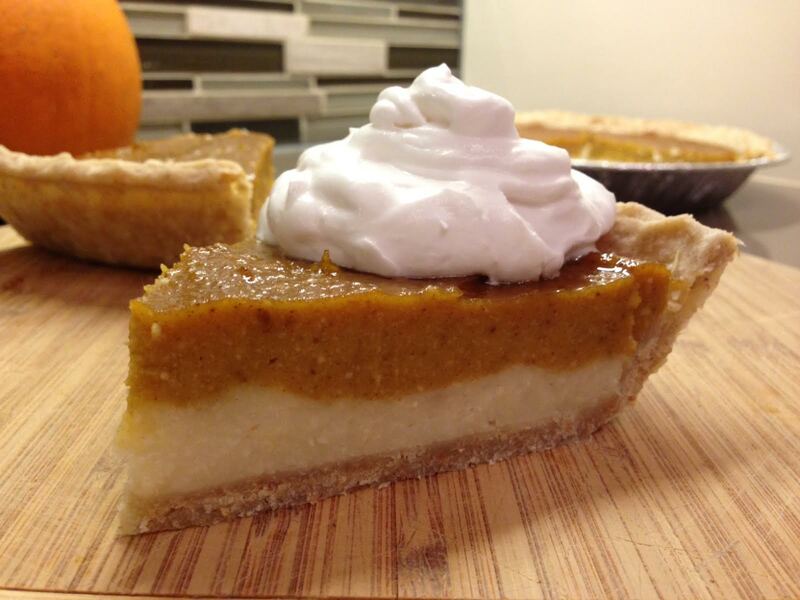 Use a fork to poke a few holes in the bottom of the pie dough. 12. Let rest in the freezer for 10 min then pre bake for 6 minutes at 425 degrees fahrenheit (400 convection). 13. Remove from oven and let cool while you prepare the filling. 14. Combine 1 cup of mashed parsnips with one mug of cashews soaked in coconut milk, granulated sugar, and ground ginger in a food processor. 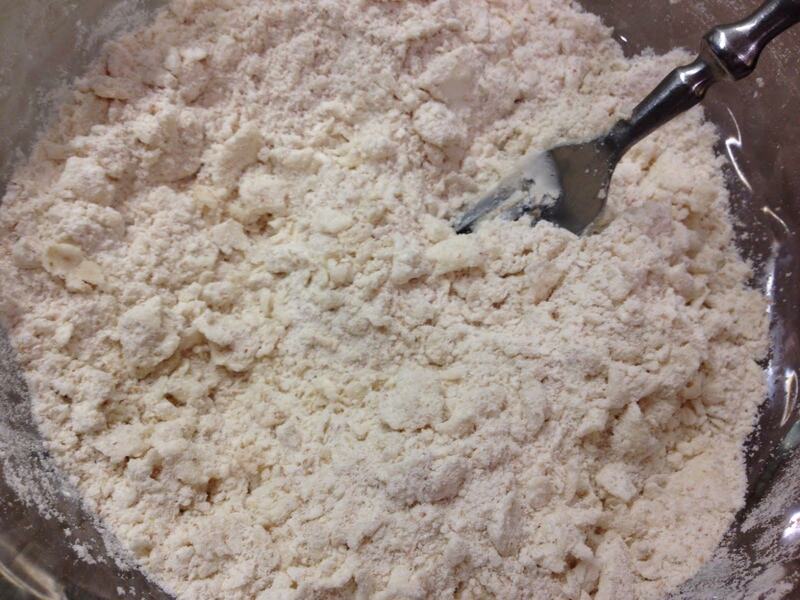 Pulse until smooth, then pour into the bottom of your pie crust. Spread out evenly. 15. 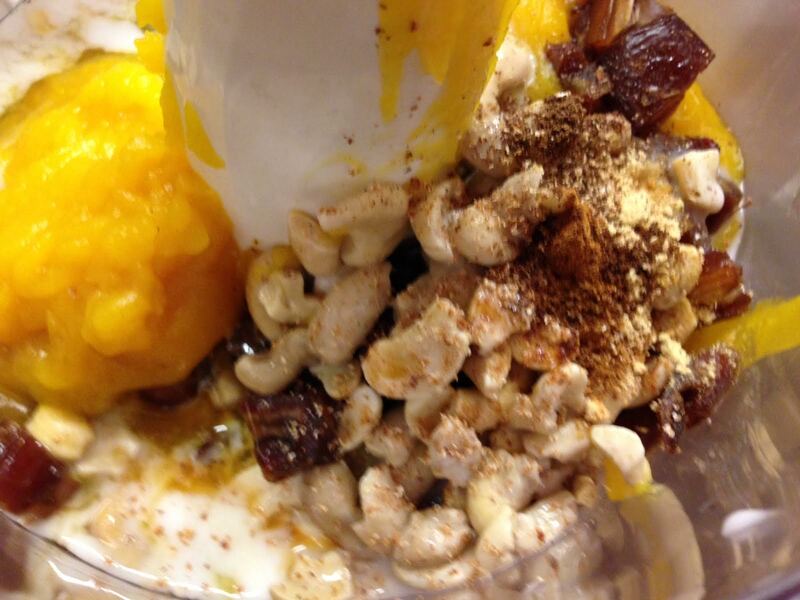 Clean out food processor, then combine 1 1/4 cup of pumpkin puree, chopped pitted dates, remaining coconut milk soaked cashews, agave, vanilla, and spices. Pulse until smooth. 16. 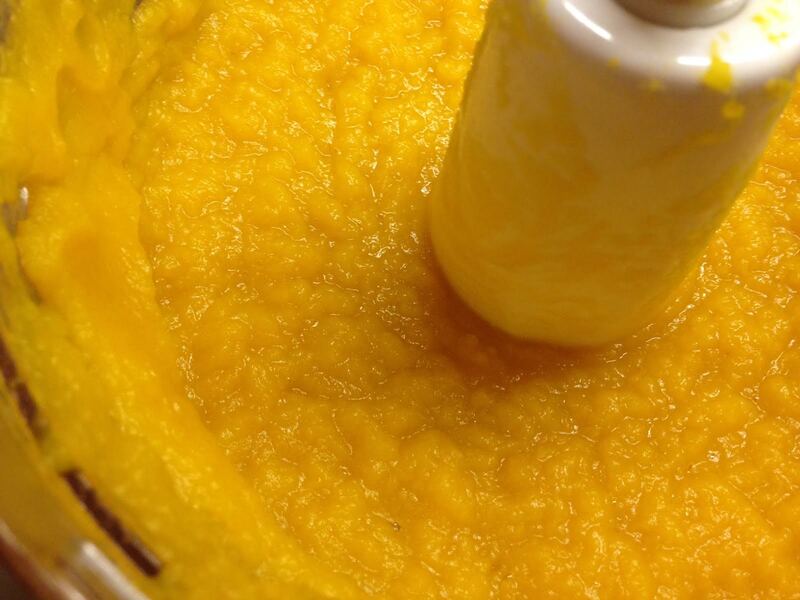 Spread pumpkin pie filling over parsnip pudding. 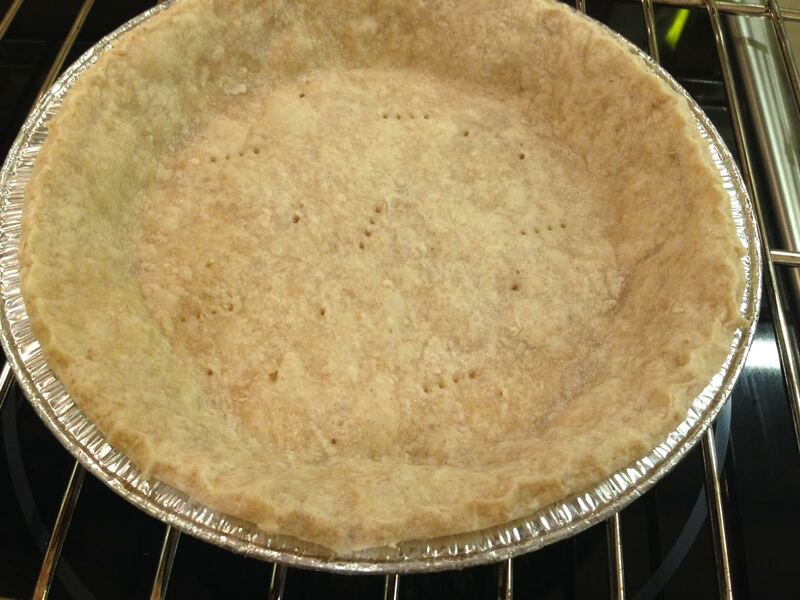 Cover edges of pie crust with foil. 17. Bake at 400 degrees (375 convection) for 10 minutes, then reduce to 350 degrees and continue baking for another 35 minutes. 18. Let rest cool on a rack for at least 2 hours. The pie filling will continue to cook during this time, so resist the urge to eat it immediately. It needs to rest! 19. 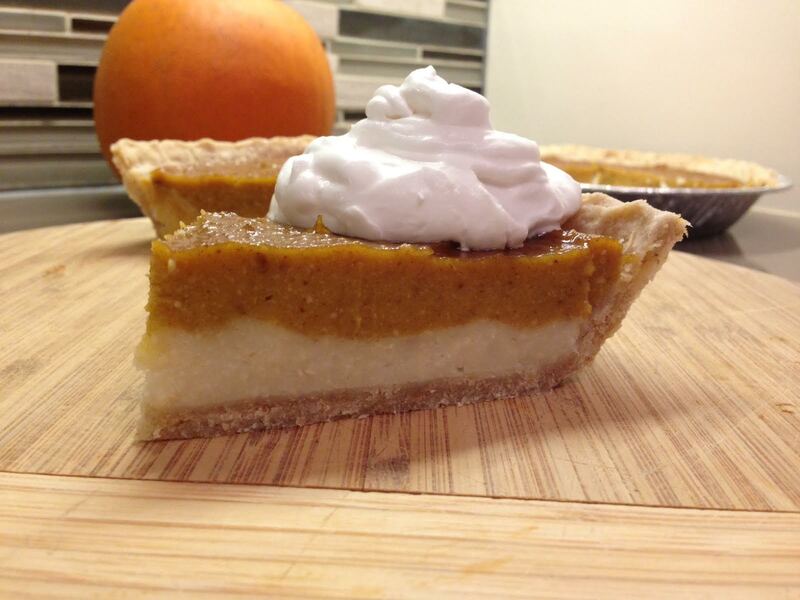 Top with coconut whipped cream, and enjoy.